Lori Collins, MS, MFT Lori provides professional counseling, coaching and education to help couples stay connected, functioning as teammates not opponents. 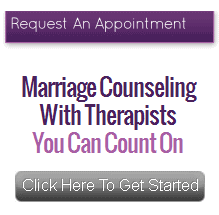 Click on Lori's name above to read more about her or click The Couples Institute if you would like to make an appointment with her. Or click Menlo Park since it is just a few minutes south and we have several excellent therapists there.